We recently received the devastating news that another Loved One has symptoms of early dementia. The number of Alzheimer’s patients is expected to increase dramatically in coming years, straining the health care system. Scientists have not discovered the cause nor devised effective treatments. Even diagnosis is difficult. In the absence of therapies, attention has turned to teaching the skills necessary to cope with demented patients. Increasingly caregivers are encouraged to validate the feelings and perceptions of the person with Alzheimer’s. The news about advances in Alzheimer’s is not encouraging; however, we are becoming better educated about and aware of this Soul Thief. Hopefully, in my lifetime, there will be Real Answers. 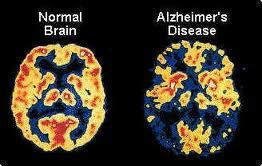 There is no cure for Alzheimer’s and no way to prevent it. Scientists haven’t even stopped arguing about whether the gunk that builds up in the Alzheimer’s brain is a cause or an effect of the disease. Alzheimer’s is roaring down — a train wreck to come — on societies all over the world. People in this country spend more than a $1 billion a year on prescription drugs marketed to treat it, but for most patients the pills have only marginal effects, if any, on symptoms and do nothing to stop the underlying disease process that eats away at the brain. Pressed for answers, most researchers say no breakthrough is around the corner, and it could easily be a decade or more before anything comes along that makes a real difference for patients. Meanwhile, the numbers are staggering: 4.5 million people in the United States have Alzheimer’s, 1 in 10 over 65 and nearly half of those over 85. Taking care of them costs $100 billion a year, and the number of patients is expected to reach 11 million to 16 million by 2050. Experts say the disease will swamp the health system. It’s already swamping millions of families, who suffer the anguish of seeing a loved one’s mind and personality disintegrate, and who struggle with caregiving and try to postpone the wrenching decision about whether they can keep the patient at home as helplessness increases, incontinence sets in and things are only going to get worse. Drug companies are placing big bets on Alzheimer’s. Wyeth, for instance, has 23 separate projects aimed at developing new treatments. Hundreds of theories are under study at other companies large and small. Why not? People with Alzheimer’s and their families are so desperate that they will buy any drug that offers even a shred of hope, and many will keep using the drug even if the symptoms don’t get better, because they can easily be convinced that the patient would be even worse off without it. It is telling, maybe a tacit admission of defeat, that a caregiving industry has sprung up around Alzheimer’s. Books, conferences and Web sites abound — how to deal with the anger, the wandering, the sleeping all day and staying up all night, the person who asks the same question 15 times in 15 minutes, wants to wear the same blouse every day and no longer recognizes her own children or knows what a toilet is for. The advice is painfully and ironically reminiscent of the 1960s and ’70s, the literal and figurative high point for many of the people who are now coping with demented parents. The theme is, essentially, go with the flow. People with Alzheimer’s aren’t being stubborn or nasty on purpose; they can’t help it. Arguing and correcting will not only not help, but they will ratchet up the hostility level and make things worse. The person with dementia has been transported into a strange, confusing new world and the best other people can do is to try to imagine the view from there and get with the program.
. . . Basically, just tango on. And hope somebody will do the same for you when your time comes. Unless the big breakthrough happens first. Posted in Alzheimer's and tagged Alzheimer's, caregivers, dementia, Denise Grady, drug companies, education, health care system, prescription drugs, science, symptoms. Bookmark the permalink.